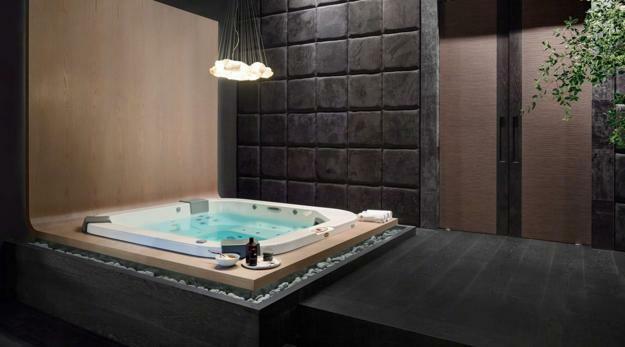 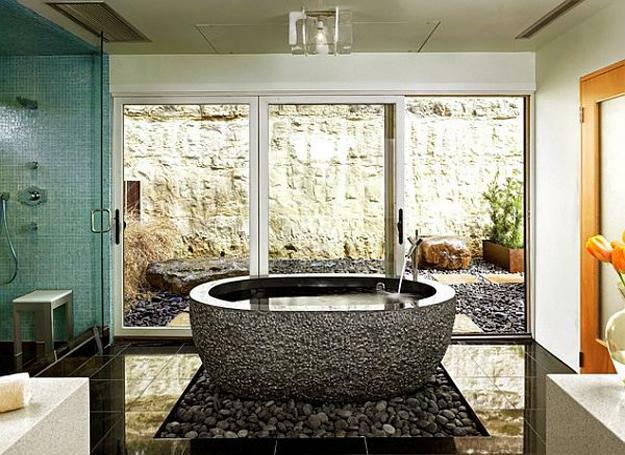 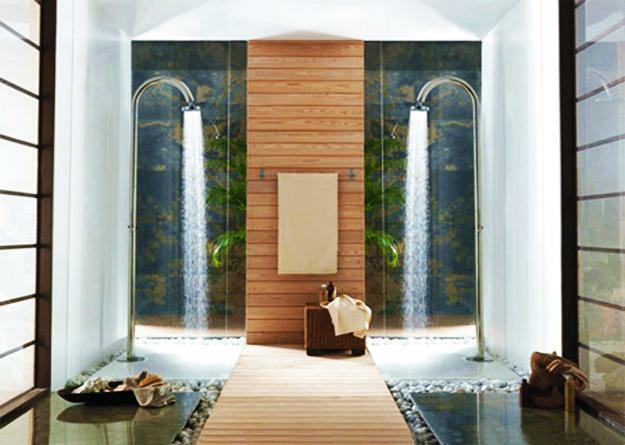 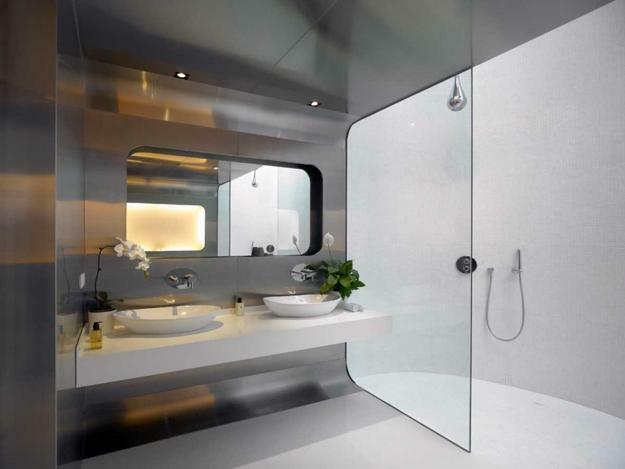 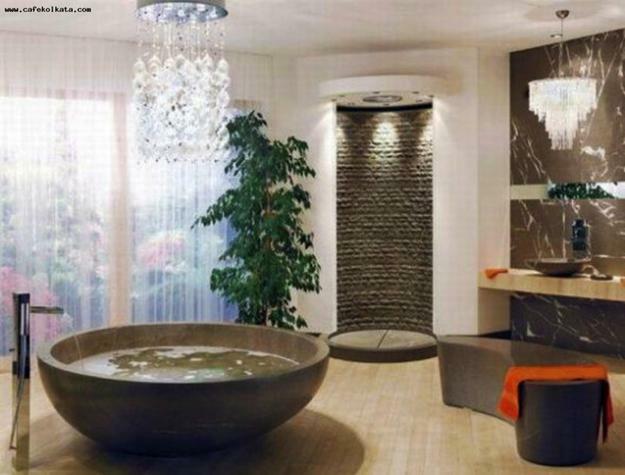 Bathroom design in eco style is challenging but ends up creating relaxing small spaces with a Zen-like spa vibe. 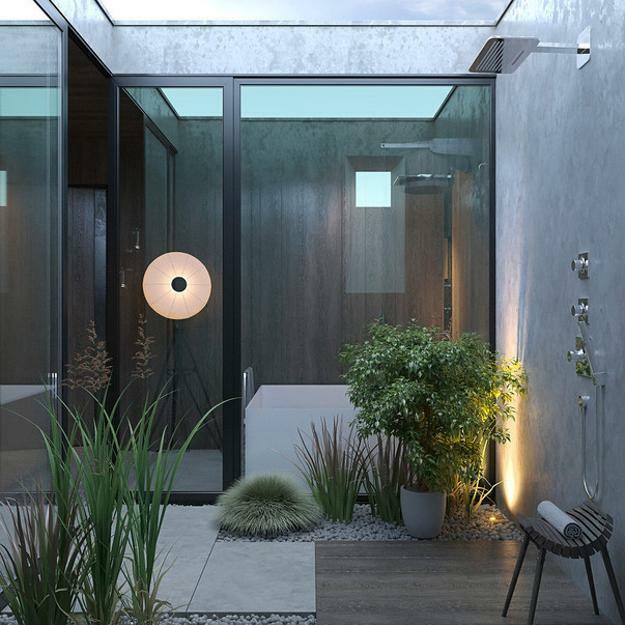 Natural materials, comfortable layout, neutral colors, soft pastels, glass walls and doors, soft lighting are essential elements of beautiful and modern bathroom design in eco style. 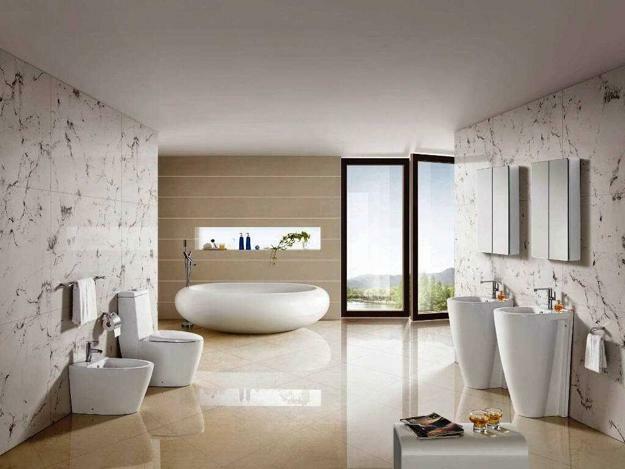 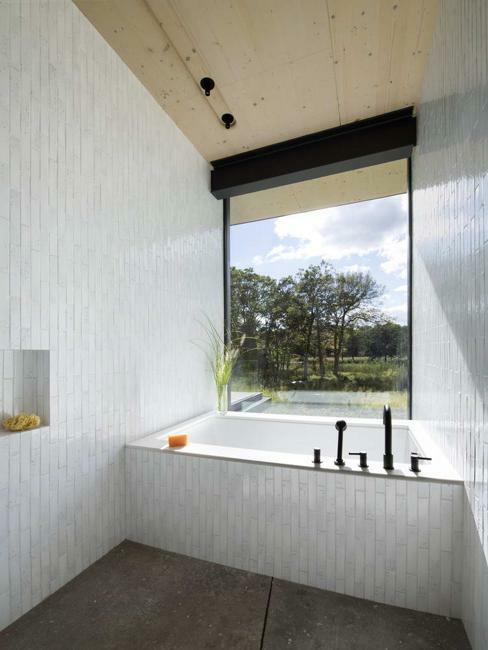 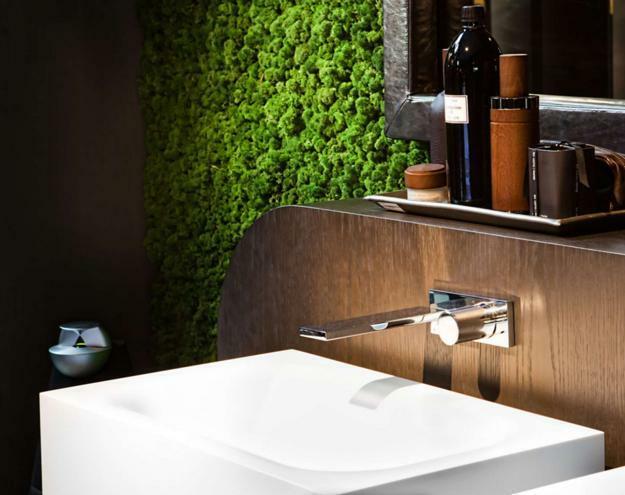 Here are the latest trends in Green bathroom design. 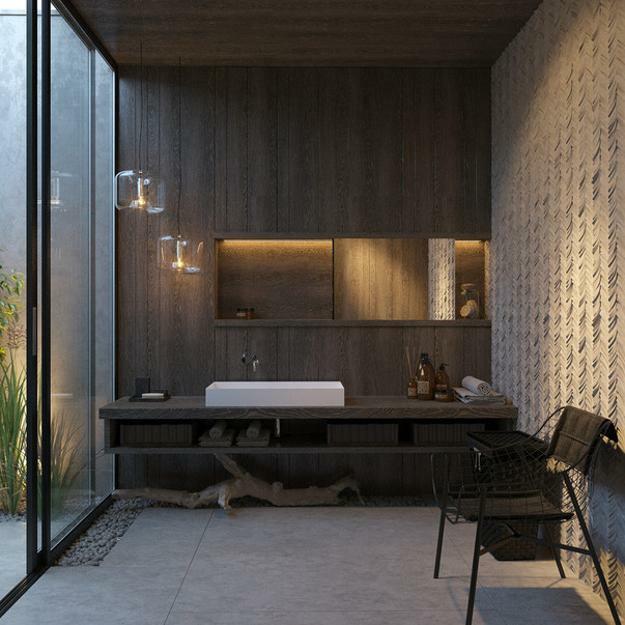 Also, the Lushome collection of beautiful bathrooms in eco styles shows how you can get this relaxing feel in your bathroom and create a pleasant and comfortable bathroom design with a spa vibe. 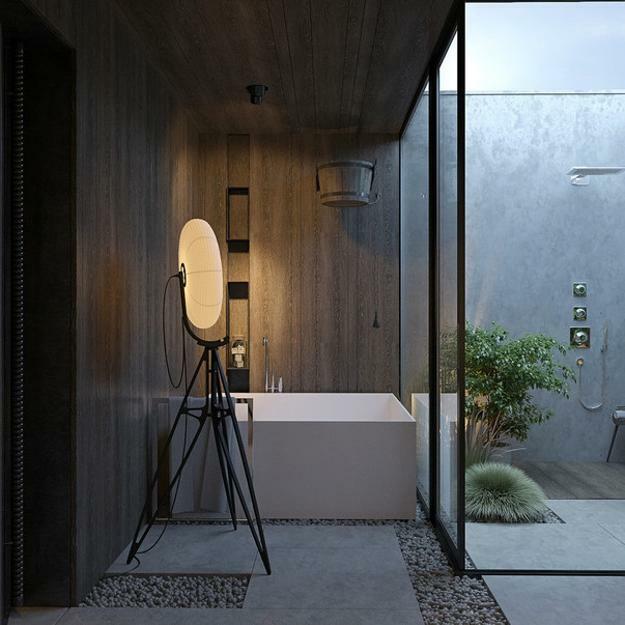 Daylight, glass elements, soft lighting design, neutral tones, and natural pastels are excellent ideas for Zen bathroom design. 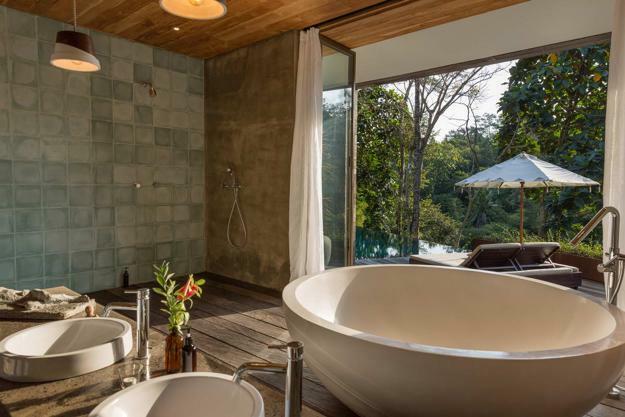 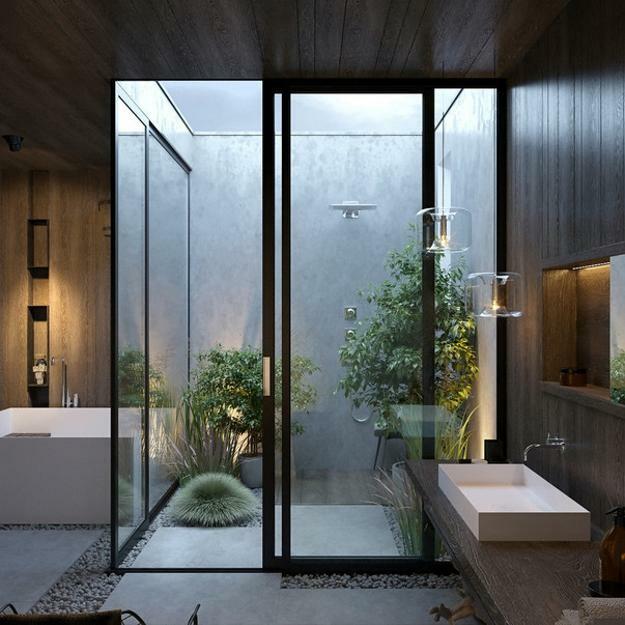 Opening to a small garden and natural materials harmoniously connect the bathroom design in eco style with nature. 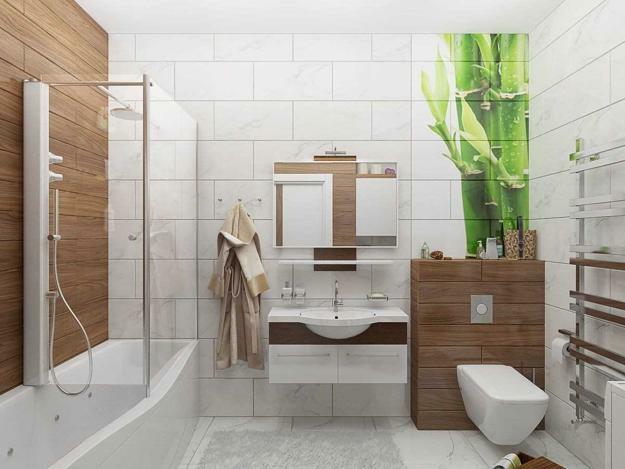 Green houseplants, wood elements, natural stone, concrete, pebbles are the perfect matches to nature-inspired bathroom designs. 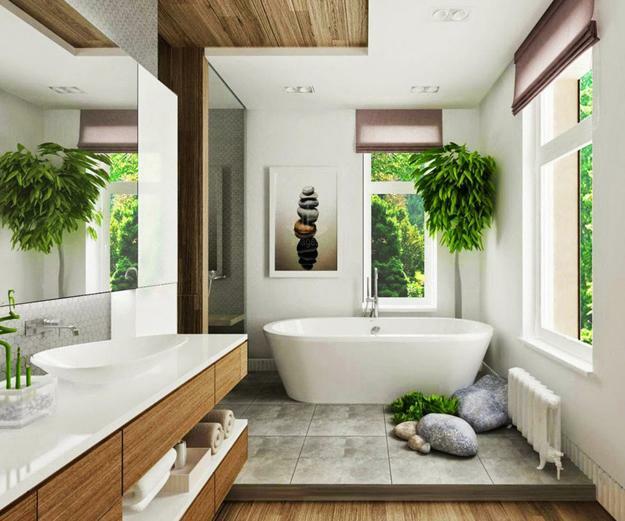 Artworks that reflect the quiet mood and remind of peaceful places, watercolors paints, crafts are the best wall decorations to accentuate the tranquility of modern bathroom design in eco style. 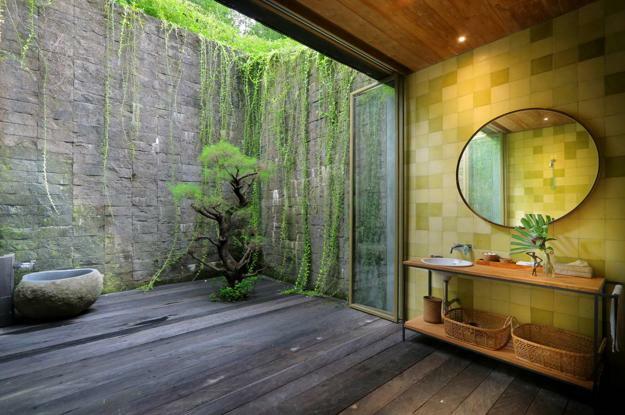 Large bathroom interiors look fabulous with trees and tall plants. 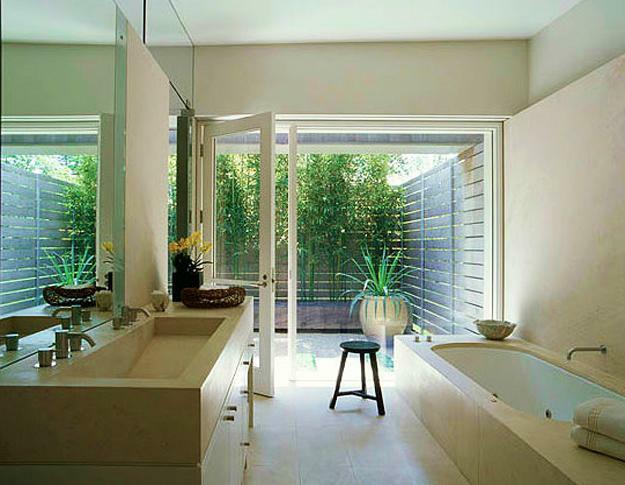 Simple lines of bamboo trunks or a wall water fountain bring the pleasant feel into modern bathroom design. 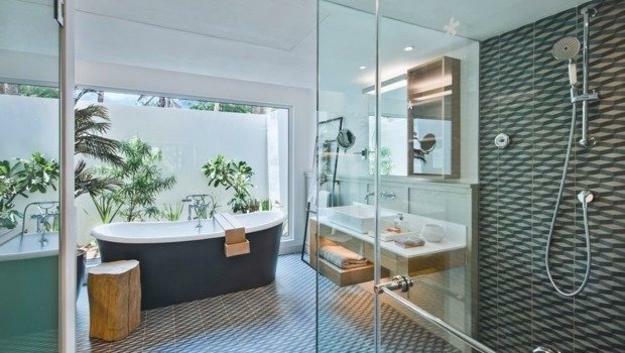 Woven floor mats made of natural fibers or wood flooring are the best solutions for bathroom design in eco styles. 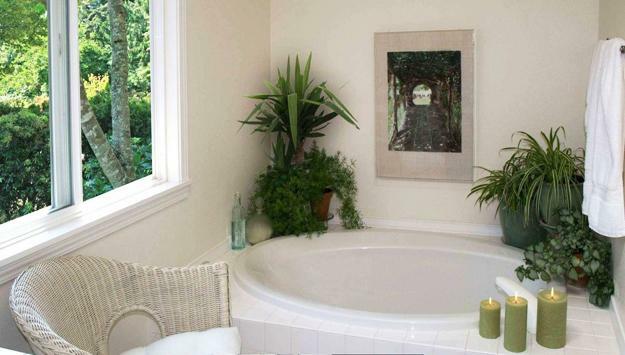 The natural materials and colors are excellent for creating the peaceful and serene small rooms. 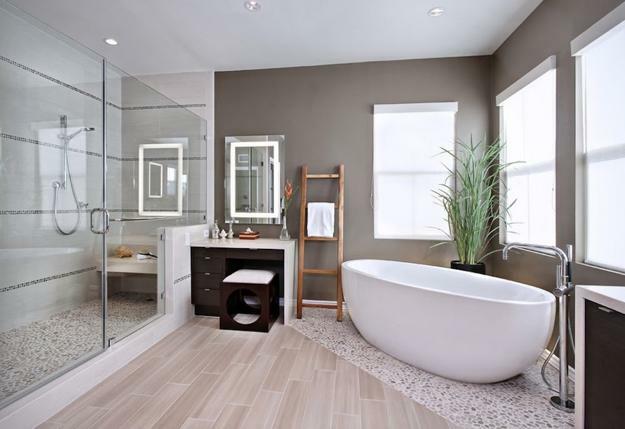 Neutral colors and soft pastel tones are ideal color design choices that emphasize the comfortable bathroom design in eco style.